Many of the mortgage-holders sold today had engaged with the bank and reached arrangements. 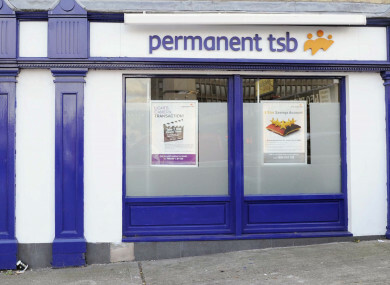 PERMANENT TSB HAS transferred thousands of mortgages in its second major loan sale, which amounts to a gross value of €1.3 billion. The Project Glenbeigh portfolio contains 6,139 home mortgages (known as principal private residences), as well as 133 buy-to-let loans. The ‘securitisation agreement’, which is similar to a sale of a mortgage book, will see thousands of loan holders moved to a special purpose vehicle which will be financed on the bond markets. The mainstream bank has dubbed these customers’ mortgages to be non-performing loans. The loans will now be serviced by Pepper Finance Corporation (Ireland) DAC (Pepper Ireland) on behalf of vulture funds, which are not regulated in Ireland. Under the deal, six months from now, customers will no longer deal with PTSB. Instead, all communications and payments will go through Pepper. Despite the bank and other commentators concluding that non-performing loan holders do not engage with their lender, many of the mortgage-holders sold today had engaged with the bank. restructuring arrangements agreed between PTSB and the relevant account holders. Of the customer accounts PTSB transferred today, 4,046 were in split mortgage arrangements with the bank. A total of 2,226 were in part-capital and interest-only arrangements, but which the bank said today all had an outstanding sum still due at the end of the term. Even for those who did continue to engage and meet arrangements, they continued to be classified as non-performing loans (NPLs). The bank stated today that the terms of the existing restructuring arrangements – including alternative repayment arrangements agreed between customers and PTSB – will be unchanged. This will remain the case if the customer’s circumstances do not change, said the statement. This will remain Pepper’s position until the arrangement is up for review. PTSB said it has received confirmation from Pepper Ireland that when reviews are taking place it will “engage with customers to review their individual situations, will work with them to understand if their circumstances have changed (i.e. improved or dis-improved) and, where possible, identify the best long-term sustainable solution in a way that is right for their situation”. Earlier this year, the pillar bank, which is 75% State owned, sold its controversial Project Glas loan portfolio to an affiliate of the so-called vulture fund Lone Star for around €1.3 billion. Within that loan book, a total of 7,400 were owner-occupier mortgages, while 3,300 were buy-to-let properties. Similar to today’s sale, after the Project Glas sale was announced it emerged that a number of people who struck deals with PTSB, who had agreed to split mortgage arrangements with the bank, and who had engaged with the bank, found themselves sold to the vulture fund. Permanent TSB chief executive Jeremy Masding said the sale today “enables Permanent TSB to reduce its Non-Performing Loan ratio and, to ensure it can grow and compete in the years ahead. Whilst this has been a necessary step, we have sought to ensure that the protections of customers will be maintained as part of this transaction”. Cormac Ryan, CEO of Pepper in Ireland said Pepper now manages over 8% of the outstanding residential mortgages in the Irish market, the majority of which are performing loans. “This reaffirms our long-term commitment and ambition for the Irish market and cements our position as the leading residential mortgage servicer in Ireland,” he said. The transaction will further reduce the bank’s level of non-performing loans to less than 10%. The chief executive of Permanent TSB and the chief executive of Pepper Ireland have today jointly written to the Joint Oireachtas Committee on Finance, Public Expenditure and Reform and Taoiseach Leo Varadkar to outline the details of the transaction and to confirm their willingness to meet with the committee to discuss it. The move to sell off thousands of mortgages has already sparked outrage among opposition politicians. Sinn Féin’s Pearse Doherty said on Twitter this afternoon that the government has abandoned 6,000 families today. Government and PTSB have abandoned over 6,000 families in allowing their loans to be sold to a vulture. Banks should be forced to work through each loan and should not be allowed to sell on loans without borrowers consent. He added in a statement that he will be tabling legislation in the coming weeks “to put an end to the era of the vultures and protect family home loans”. “Banks should be made work through their individual loans and prevent them from selling them to vultures without the borrowers’ permission. I am disgusted at the attitude of Permanent TSB only a short time after their last sale was announced. “Their arrogance and contempt for their customers is growing because they know this government is on their side,” he said. Fianna Fáil’s finance spokesperson Michael McGrath said he will be asking Pepper to outline the suite of mortgage restructure solutions they offer to borrowers in difficulty and to provide details of how their relationship with the securitisation vehicle will work. “Pepper will need to outline how they will approach the review of mortgage restructure arrangements on their expiry,” he said. Email “PTSB transfers thousands more of its customers to vulture fund servicer”. Feedback on “PTSB transfers thousands more of its customers to vulture fund servicer”.